A once in a life time experience!! 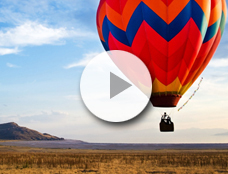 Ballooning is one of the best and the most extraordinary activities in the world that anyone should not missed. Moreover, Chiangmai is the world top tourist destination where offer a wealth of historic and cultural site as well as the scenic of countryside waiting to be discovered. Those who love outdoor activities, let start off your holiday with our bird's eye view tour on the first morning of your arrival is a must. Flying a balloon allows the wind above the sky lead you to experience what it's like to feel relax and weighlessness. You will be above the ground upto the cloud ceiling to explore the beautiful and romantic run rise and the panoramic view of Chiangmai's landscape. 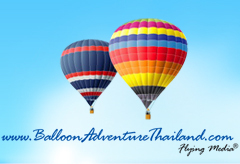 Book now and enjoy you tomorrow ballooning flight with us.